Extend the value of your data across your entire organization with Tableau Server. Empower your business with the freedom to explore data in a trusted environment—without limiting them to pre-defined questions, wizards, or chart types. Have the peace of mind that both your data and your analytics are governed, secure, and accurate. IT organizations love Tableau for it's ease of deployment, robust integration, simplicity of scalability, and excellent reliability. 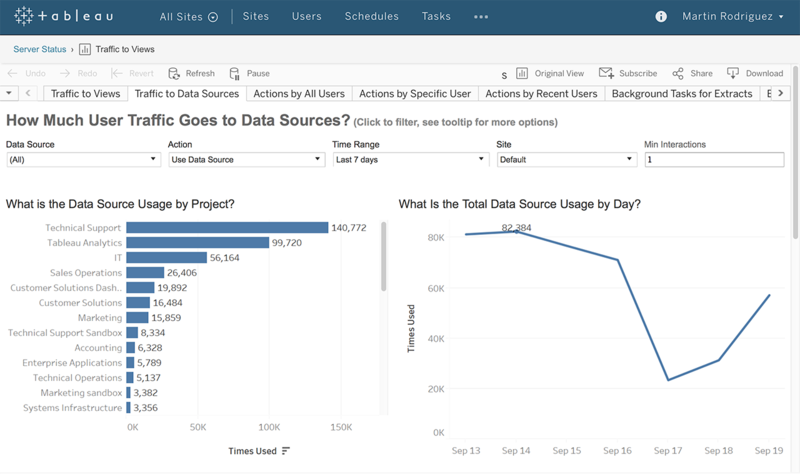 You no longer have to choose between empowering the business or protecting your data - with Tableau you can finally do both. Empower your organizations to ask questions of their data using natural language. With Ask Data, type a question and instantly get a visual answer. The technology behind Ask Data understands the intent of your question and provides relevant answers. There is no need to understand the structure of your data or even how to build a visualization. Plus with our end-to-end web authoring capabilities, it's easy to add additional data sources or create fully interactive dashboards. Connect to any data source securely - whether on-premises or in the cloud. Publish and share your data sources as live connections or extracts for everyone to use. Work with popular enterprise data sources like Cloudera Hadoop, Oracle, AWS Redshift, cubes, Teradata, Microsoft SQL Server, and more. Use our web data connector and APIs to access hundreds more data sources. Centrally manage hundreds of data sources. Governance without compromise. Centrally manage all of your metadata and security rules. Provide shared and curated data sources for your users. Gain visibility into usage to optimize your environment. Dial into the right combination of user flexibility and control. Whether you use Active Directory, Kerberos, OAuth, or another standard—Tableau seamlessly integrates with your existing security protocols. Manage authentication at the user and group level. Maintain the security of your database with pass-through data connection permissions and row-level filtering. Keep users and content secure with multi-tenancy options and fine-grained permissions control. Whether you’re keeping your data on-premises or in the cloud, Tableau Server gives you the flexibility to integrate into your existing data infrastructure. Install Tableau Server on-premises, on either Windows or Linux, for ultimate control behind your firewall. 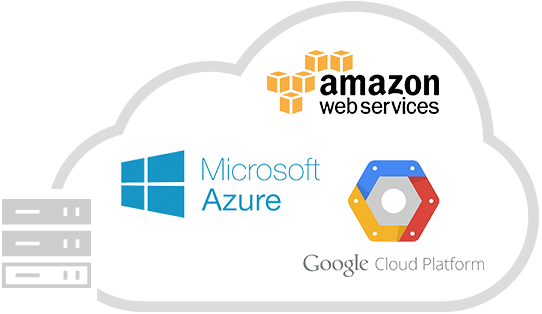 Deploy on Public Cloud with AWS, Azure or Google Cloud Platform to leverage your existing cloud investment. Tableau Server enables everyone in an organization to see and understand data, with offerings for every user type. Starting with casual users looking to make data driven decisions from a published dashboard, data enthusiasts who want to use web authoring to ask new questions from published data source, to data geeks who want to create and share their vizzes and data sources with the rest of the organization. 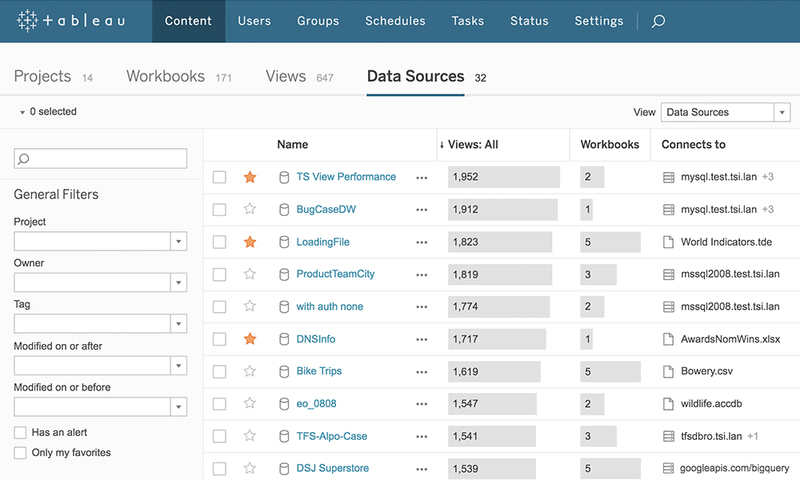 The Tableau platform is easy to deploy, scale, and monitor. Easily track and manage content, users, licenses, and performance. 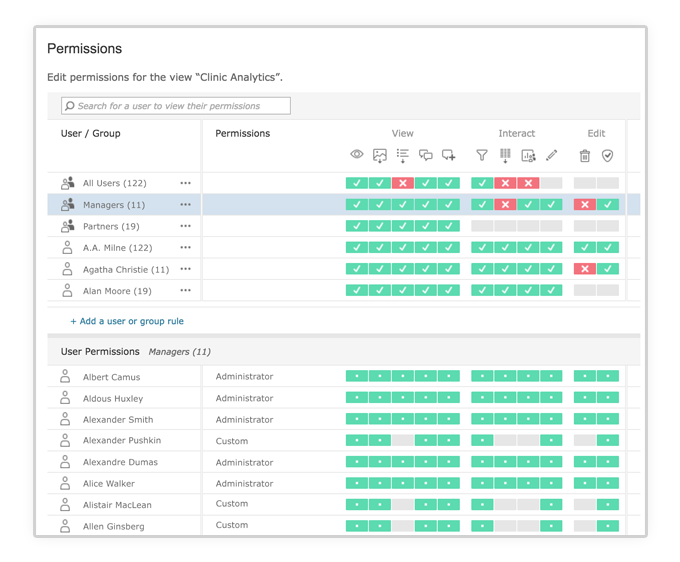 Quickly manage permissions for data sources and content and monitor usage visually. Scale up and out when you’re ready. 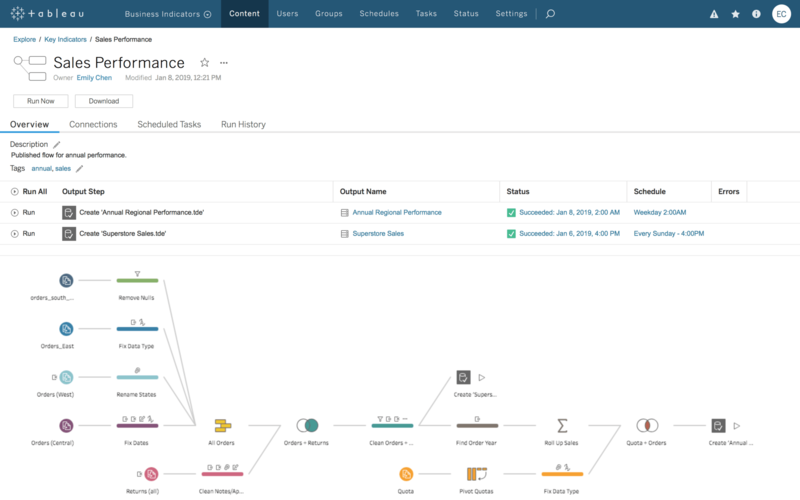 Publish and run flows in your server environment with Tableau Prep Conductor, part of the Data Management Add-on. Schedule flows to run when you need them to - day or night - and automate your data prep processes so there's always fresh data that's prepped and ready for analysis. Proactive alerts let you know if your flows aren't operating as scheduled. Want to learn more about Tableau Prep? 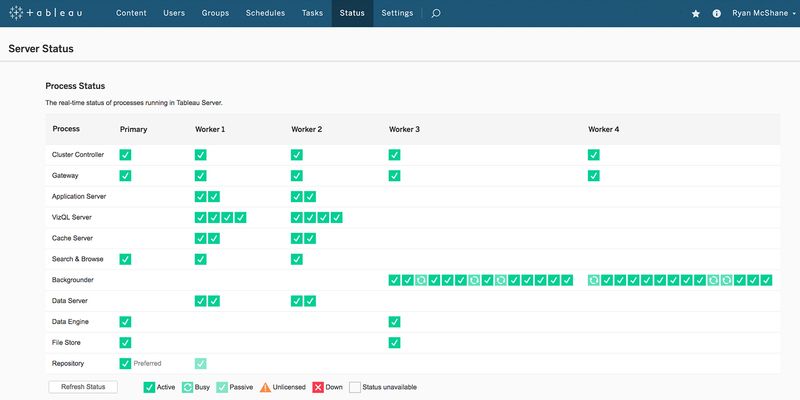 Which Tableau deployment is right for you? Our job is to give [the business] the freedom to govern themselves, and at the same time, behind the curtain, making sure that there's order and that it’s maintained. Learn more about embedding Tableau analytics. Advanced high availability, robust failover, and fast disaster recovery is why the largest companies in the world choose Tableau for their enterprise analytics. Choose the right amount of redundancy to fulfill your business SLAs. Learn about Tableau's stability and reliability. Size your analytics for today's needs, then easily scale up or out as your usage expands. Tableau architecture supports seamless scaling with no downtime. Transition to newer hardware easily or add more nodes for increased redundancy and capacity. Tableau's software moves as fast as you do. We invest more in R&D than anyone else in the industry—and we are guided by requests from the best user community. 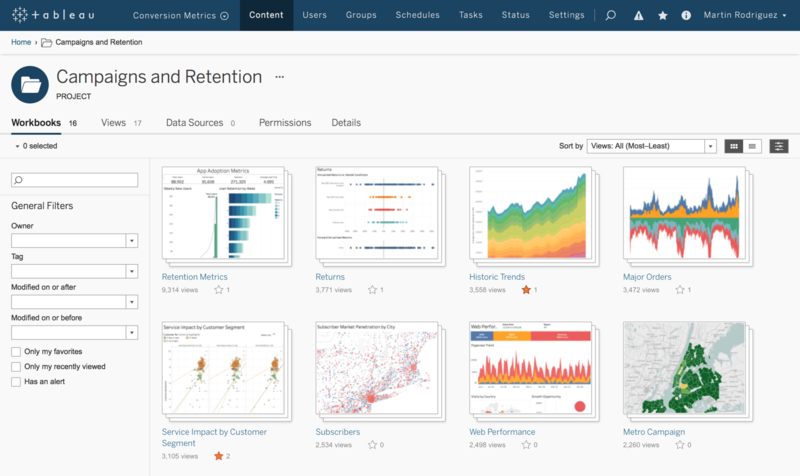 Enterprise features have been at the core of the Tableau platform for years, and there’s more to come. 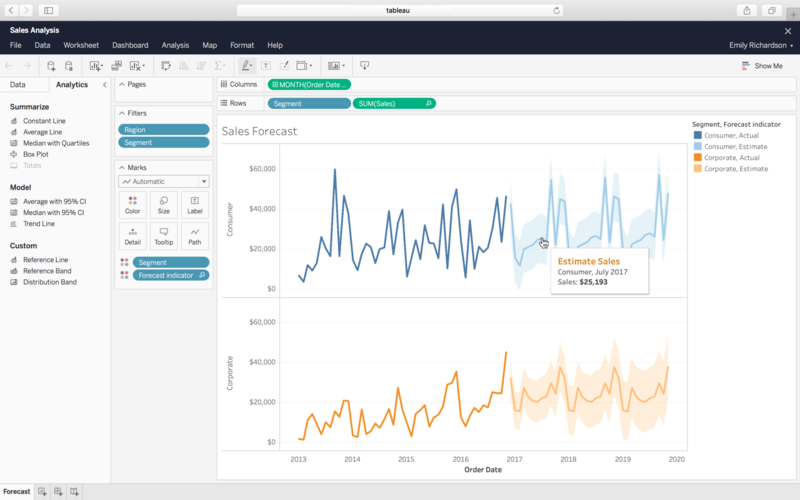 Learn what's new in Tableau. Our offerings match Tableau capabilities with the unique needs of different types of users to create, explore, and view trusted content with Tableau’s governed self-service analytics platform.